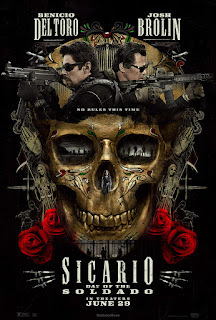 "SICARIO: Day of the Soldado" presents a new episode of the determined DEA agents from the first film. Josh Brolin returns as the lawman with the 1,000 yard stare, assigned to start a war between Mexican cartels. He decides to kidnap the daughter of a cartel kingpin, and blame it on rivals. Instead, the plan puts the girl's life in danger. Brolin recruits Benicio del Toro to smuggle the girl to safety in the U.S. Brolin behaves like the character he played in "No Country for Old Men." The shootouts escalate between good guys, bad guys, Mexican police and even those who lead immigrants across the Rio Grande. Catherine Keener and Matthew Modine distract in roles as government officials. A twist at the end, had audiences simultaneously booing and laughing. The first film succeeded, because audiences supported Emily Blunt as she tried to fit in with the macho system. The sequel relies on blood, guns and nonsense twists. 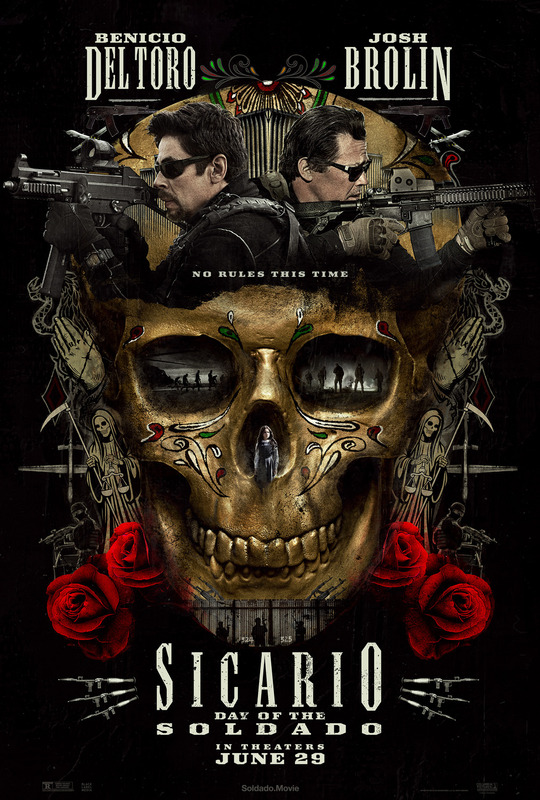 "SICARIO: Day of the Soldado," rated "R," zero stars. Does it deliver what it promises? Same actors with a bad script. Is it entertaining? Hardly. Is it worth the price of admission? A waste of time.